Soon the EngageNY Common Core Math and English Language Arts Curriculum will be accessible through Galileo. The curriculum contains Math and English Language Arts (ELA) units/modules and lesson plans for grades Kindergarten through 8th grade. Additionally, direct access to the high school curriculum including ELA 9th-12th grade content and Algebra I, Algebra II, Geometry, and Pre-calculus will be available through Galileo. The EngageNY curriculum components exist through Galileo as links to the live EngageNY website. 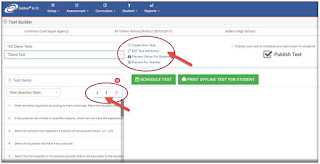 There are a number of benefits of using the EngageNY curriculum through Galileo including the ability to guide curriculum implementation by scheduling each unit/module for the desired duration. The EngageNY units/modules can be scheduled by district- and school-levels users using the Galileo Bulk Scheduler tool. 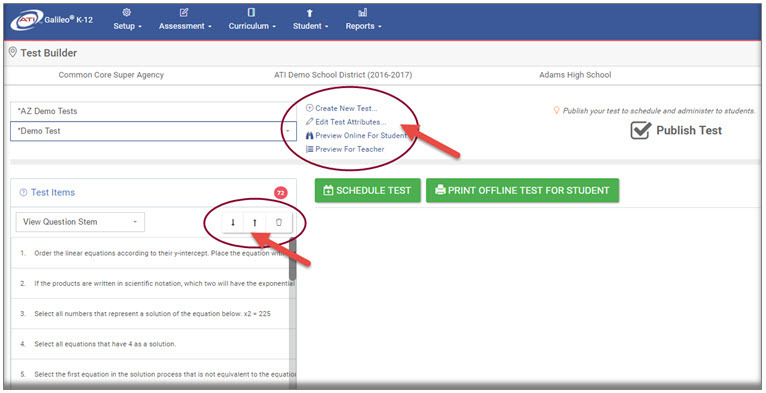 Scheduled EngageNY units/modules will be displayed on the Teacher Dashboard Calendar page. From this page, teachers can preview scheduled units/modules as well as schedule EngageNY lesson plans to further support instruction. 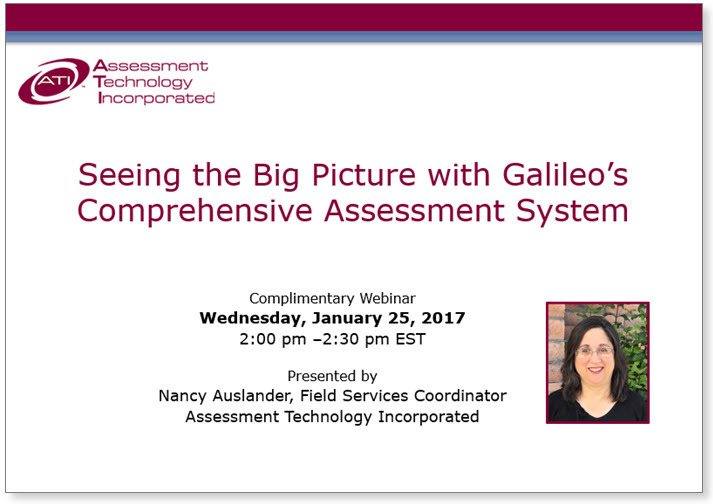 Contact your friendly and knowledgeable field services coordinator for more information. TE Item Builder Component: The capability for teachers to create technology-enhanced items within Test Builder is currently under development and scheduled for release in spring 2017. Quickly add, reorder and/or delete items. Easily access Test Builder tools to create new tests, edit test attributes, and preview tests. For further information on Test Builder functions and how to generate tests contact your Field Services Coordinator or access the Help files via the Galileo application. “I loved this course. I feel so much more confidant because of it. I must say all the trainings I have done on Galileo have been excellent. Not only are they of high quality but largely free of charge or at very small cost. Thank you for all the help you have given us,” says Dr. Chrissy Lindsley, Educational Coordinator, Clay Center, KS. ATI offers a comprehensive, customized Professional Development (PD) and training program which is complimented by our variety of online resources. The trainings are provided by our PD staff who come to you direct from the classroom and are well-versed in both educational theory and practice. In addition to degrees in education, they have substantial educational experience and are sensitive to the needs and challenges facing today’s educators. Learning on Demand (LOD) webinar sessions are part of the comprehensive ATI PD offerings and are provided at no cost. The spring schedule of Pre-K and K-12 LOD sessions is now available for registration (click the “Upcoming” tab in the Training Center). LOD webinar sessions are offered at multiple times and on multiple days throughout the year. Once recorded, the sessions are available on demand in the Galileo system. If you need assistance or would like further information on training offerings, contact ATI’s Professional Development Department at 800.367.4762 or e-mail ProfessionalDevelopment@ati-online.com.